Are you more of a flower lover then a princess bride? 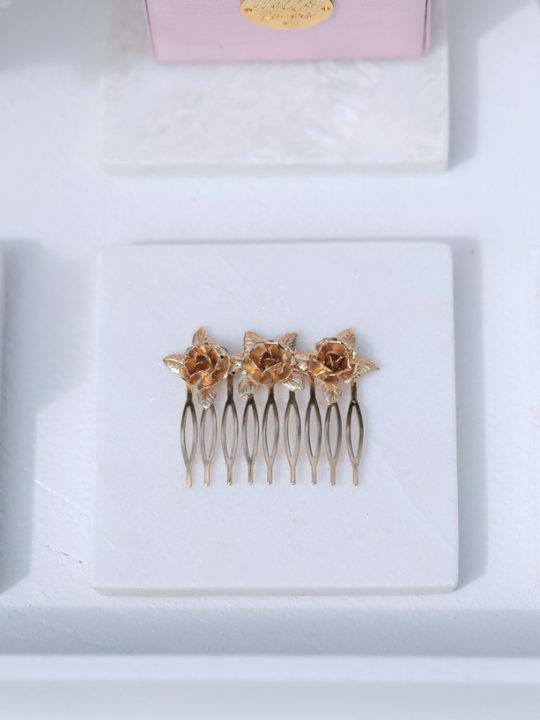 These flower hair pins can be worn on its own or as as pair. I love double flowers like we have done on our model. Wear one or more silk hair flowers in your hair, you will know that you have a casual chic bridal hair style happening. Perfect for a garden, beach, backyard or destination wedding, match with a light blusher veil or just on their own. With multi layers of organza and satin for the flowers and the leaves are embossed with pearls and diamonties. 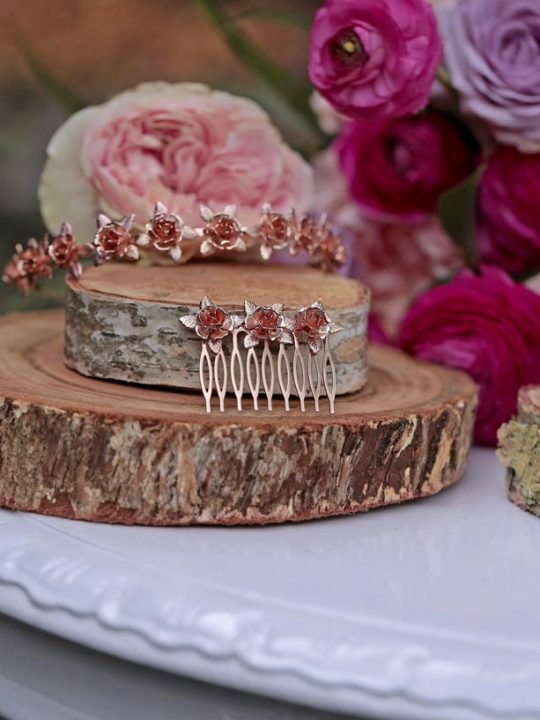 Just one of the truly unique bridal and wedding jewellery at Hello Lovers Australia based in Melbourne. Match with our tear drop Sophia earrings and Sophia drop wedding necklace. 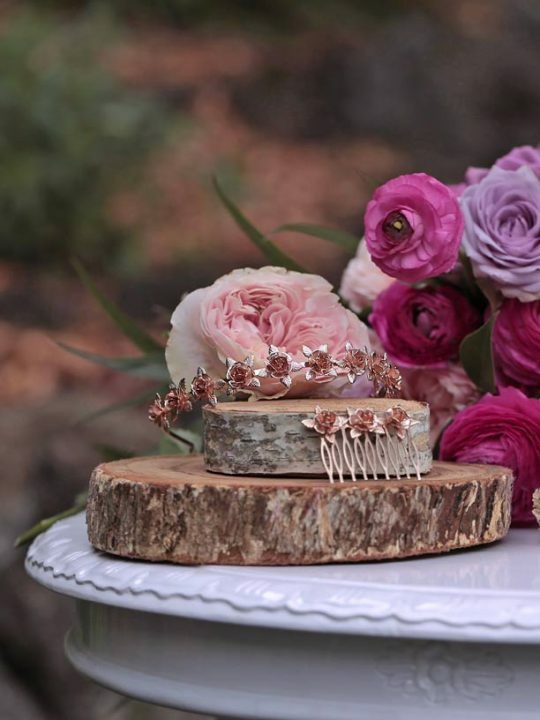 Each flower hair piece comes boxed in a pale pink keepsake box.